After gaining the pre-requisite knowledge of HTML5, participants will move on to gaining experience and a foundational understanding of SAP’s openUI5 framework. Learners will work directly with the framework and the tools needed to begin developing SAP Fiori-like desktop and mobile applications that adhere to the SAP’s User Experience design strategy. Applications will be developed on both the Eclipse and SAP Web IDE platforms to give learners a variety of options in their own development efforts. This course is a pre-requisite course for the courses on SAP SAPUI5 and the advanced SAP Fiori and SAPUI5 development courses, especially if a developer is new to the field of web development and openUI5. 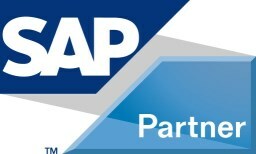 Please note that this is a brand new replacement for the older SAPX04 & parts of the SAPX05 course.